The Bay Area’s first geothermal heat exchange systems was created for the San Francisco Community College District. 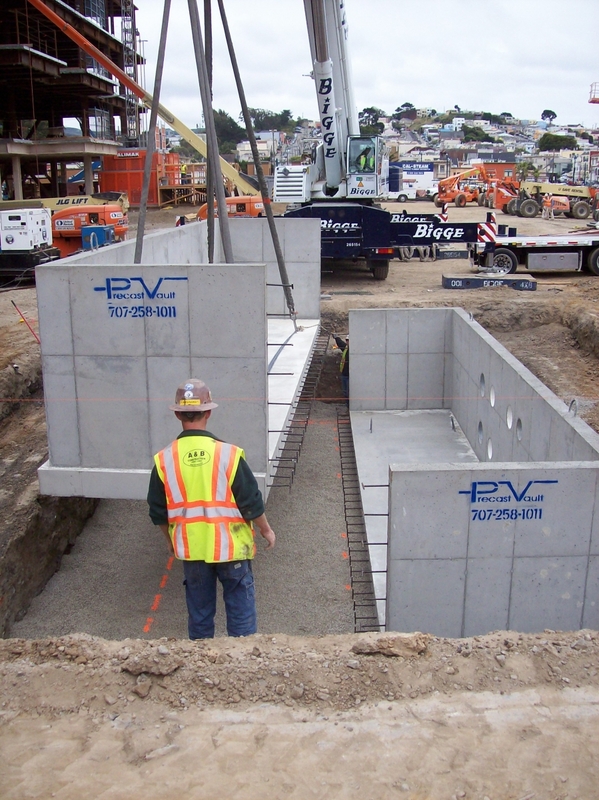 The construction consisted of a closed loop geothermal system which uses the core temperature of the earth to reduce the amount of energy needed in order to supply heating or cooling to the Central Utility Plant at City College of San Francisco. The Central Utility Plant has been designed to handle the heating and cooling needs for the Joint Use Facility and five future buildings on the campus. Four hundred wells were drilled to an elevation 400 feet below original grade to create a closed, pressurized, network of 1 1/4″ HDPE pipes. These HDPE pipes were routed to a valve vault which balanced the pressure of the field to make sure that the network of 400 wells operated at the best efficiency; i.e., the most consistent temperature. The water from the wells is routed from the valve vault to the Central Utility Plant outfitted with 15 booster pumps, as well as three York heat pumps and three York chillers. The heat pumps and chillers regulate the temperature of water used to heat or cool the Joint Use Facility and five future buildings. The five future buildings are ready to receive this service as the Central Utility Plant routes the temperature regulated water in a network of sub-grade, pre-insulated steel pipe. This pipe has been installed and is terminated at four different vaults throughout the campus. c/o Bovis Lend Lease, Inc.